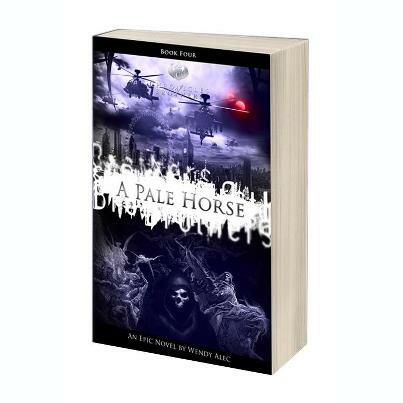 GOD TV, Creative Director & co founder Wenday Alec released a Pale Horse on the 29th November, which is the 4th book of a 7 book series. The story entitled Chronicles of Brothers deals with the origins of the Angelic Race, the rebellion of Lucifer and his wrath against mankind. The book is far more closer to home than one may think and we believe that it is an important read for getting an idea of what the higher elite are thinking and plotting. What's interesting is that it is a Novel, that's right! its not the usual Da vinci code style type book based on artifacts and holy books but is a fictional story based on a non-fictional conspiracy theory, the Conspiracy theory of the New World Order that is, with the coming of the Anti-Christ to take the throne as its leader. Deep into the story line, book 4, a Pale Horse, set in 2025, deals with the 3 brothers of the Elite Banking family cartel coming to realize that their eldest brother Adrian de Vere, President of the European Union, is not who they thought he was, as they dive into past medical documents and DNA testing, a far more deeper darker secret surfaces. the coming of the Nazarene in a sick and twisted plot that conspires to bring forward martial law with a devastating staged terror attack that brings the human race under threat. This book deals with every aspect of the new world order that we deal with today, the book series actually starts in Wendy Alec's vision of Heaven, as in Book 1, "The fall of Lucifer" deals with just that. The story moves on to Jesus's era all the way to the world as we know it, from 9/11 to martial law, banking elite, shadow government etc. As the story progresses the book spilt's into two realms as Wendy Alec simultaneously address the story of the Angels of Jehovah, Nephilims & so called Aliens to Michael and his never ending war with brother Lucifer. Why we are recommending this book is because it brings two realities into one which is the spiritual and the physical covering both Lucifer's interaction with the spirits and his meddling in our physical world, in this current time. The books "heroes" are the wise angels of Jehovah who also take on human forms to aid mankind in the war against their satanic enemies. The human side of the story is based on a fictional family named De Vere who are the host's of Lucifer's Anti Christ child, similar to the movie "Damien".